Mary Kay Christmas Party 2013 - a Joyful CHRISTMAS "TREE" Decoration! Thanks to Mary Kay for the consecutive years of support towards our programs. The yearly Christmas Celebration with Mary Kay has always been a highlight, and en event the children look forward to. 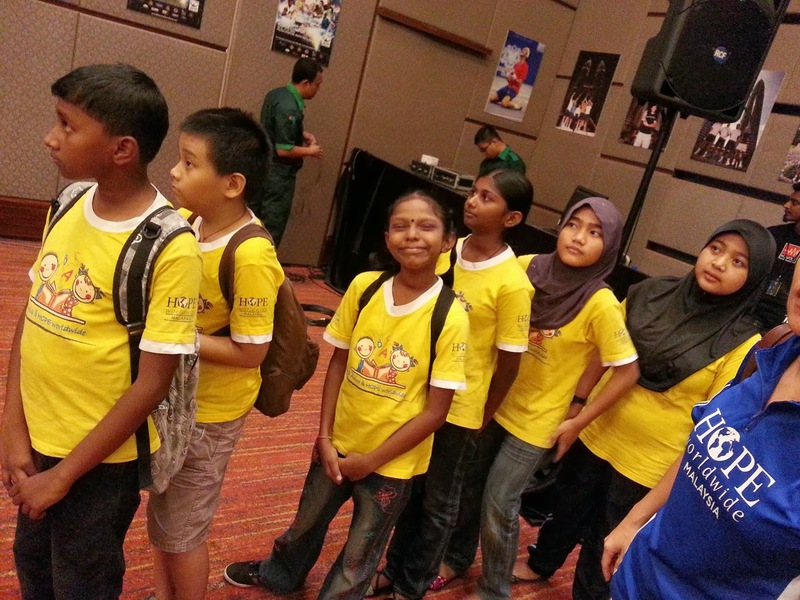 This year, we have another support from KLpac as the Official Venue Sponsor for this meaningful event. The biggest highlight of this year celebration was the "DECORATION OF CHRISTMAS TREE"! Well, as you can see, eventually the Mary Kay staffs became the "TREE", and were creatively decorated by the children. The children had opportunities to contribute their ideas and creativity for the decoration. Besides, each team presented its team cheer too! It was always exciting to see the children and staff so out of themselves, seizing the moments and building friendships with one another. Through all these activities, the children were so inspired and encouraged. The party ended by the staff presenting gifts to the children. The fun part was the children were given the presents randomly, and the children needed to hand the presents to the right person by referring to the name labeled on each gift. The girls got teddy bears while the boys had hot wheels toys. After the Christmas party, we had lunch together at the Societe Cafe. It was such a memorable and wonderful time spent together. 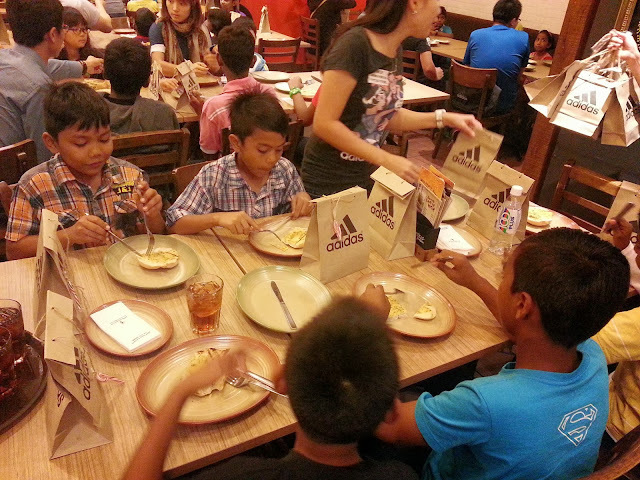 Once again, we would like to thank Mary Kay and KLpac for your generosity and great effort in making this event happened for the children. Excellent job to volunteers from Doulos Community Service who organized a fruitful day of several Education Programs for 45 children aged from 7 to 12 years old. The children have had a great learning time as Doulos Community Service Volunteers had planned so much of learning activities for them. 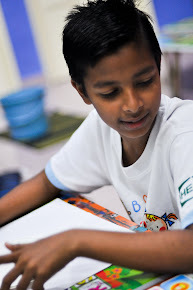 And all these activities had helped them to learn and write English according to their "eye-level". 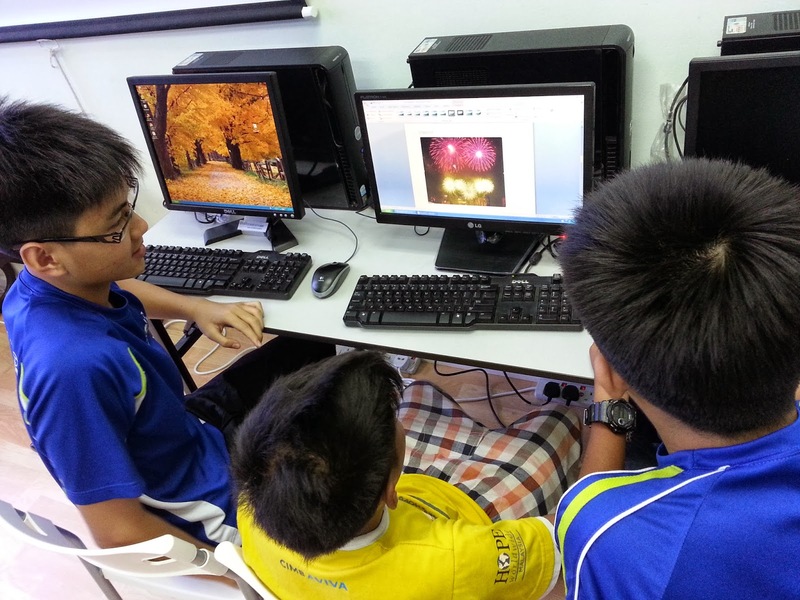 They were motivated and beaming all the way as they gained confidence. After the English learning activities, the children proceed to make clay art, as they created their very own snow man and a snow house. 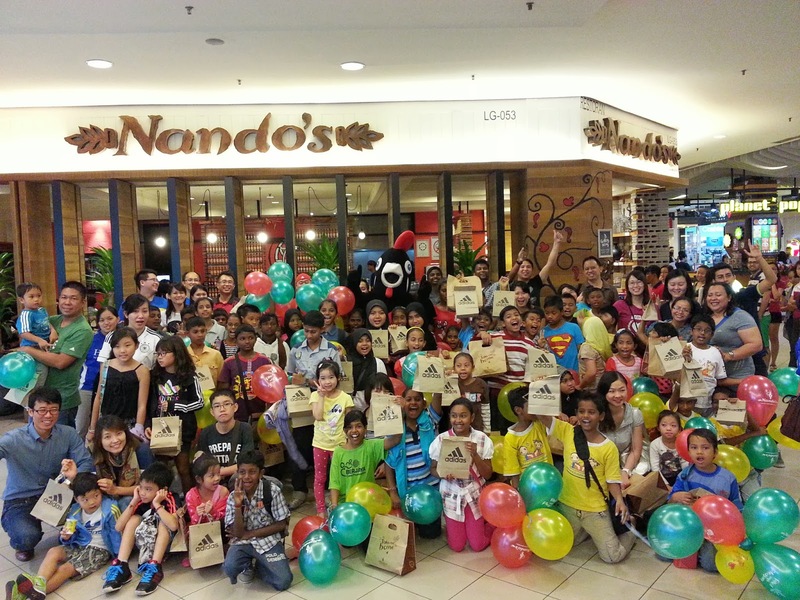 The program ended by the volunteers distributing gifts and snacks to all 45 children. Thanks to Ms. Teresa Yau from Doulos Community Service who coordinated and plan the programs together with the volunteers. 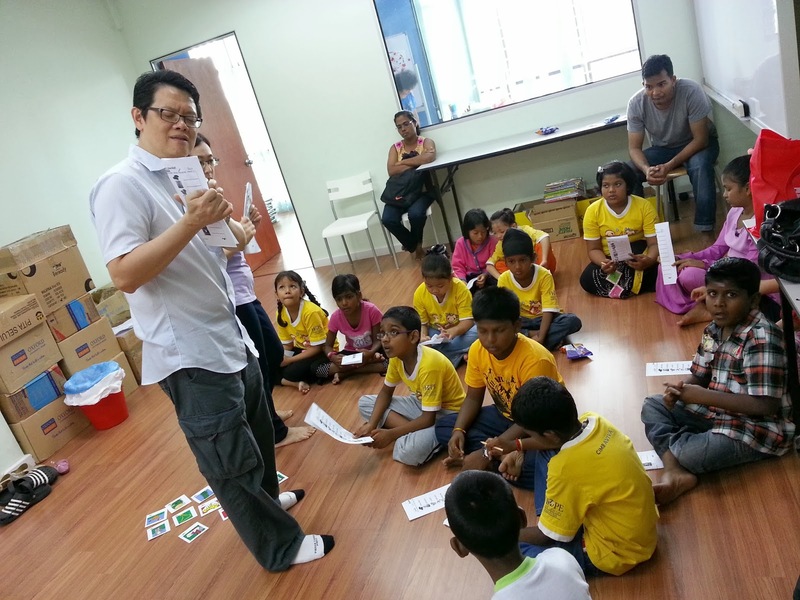 Your great serving heart had indeed inspired the children. The school holiday has just begins! Yet, our kids have so much to do and learn during these holiday period. We were so grateful to the Psychology students from IMU who conducted a Self-Esteem Workshop for 30 children and teenagers aged from 12 to 14 years old. Truly appreciate the thoughtfulness of the students in planning the itinerary especially the games and activities were very uplifting and exciting! The teens enjoyed a lot. We would like to specially thank Ms. Zuhrah from IMU for coordinate this workshop since months ago. So glad to have you guys here with us and we look forward to have more working opportunities to reach out more teens in our community. 05 November 2013, HOPE worldwide 40 volunteers conducted families visit and community survey at Sentul, Jalan Ipoh, Selayang, Kepong and Batu Caves areas. 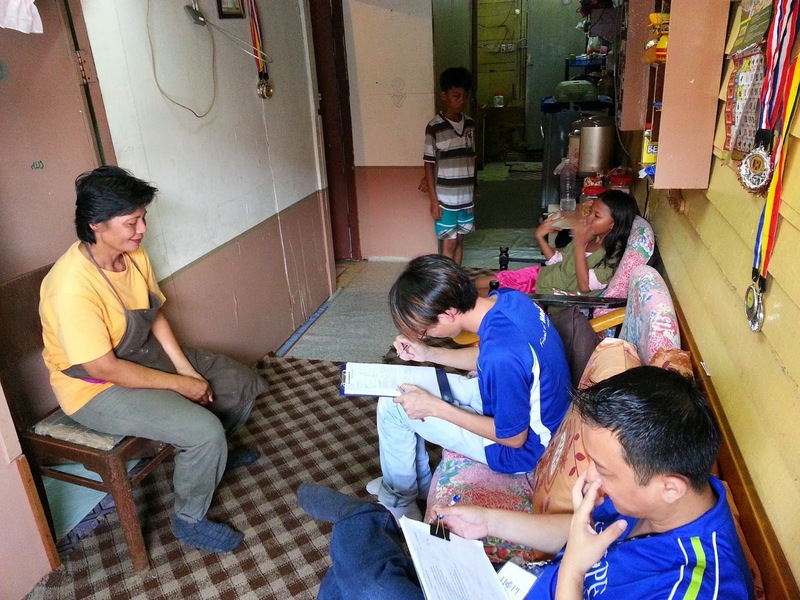 HOPE worldwide Malaysia conducted a Community Survey by visiting to 134 urban poor families around Sentul area. 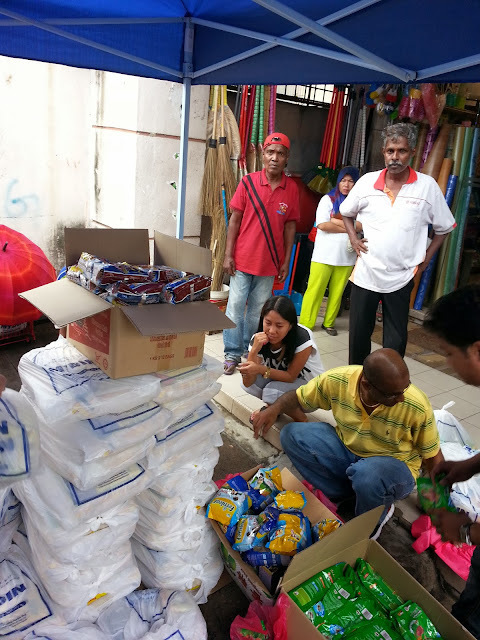 The objectives of this community survey is to tackle the core needs of the urban poor families, and it will help HOPE worldwide Malaysia in expanding its community programs in the future. We were grateful and would like to specially thank to this group of 40 volunteers who participated in this community survey. 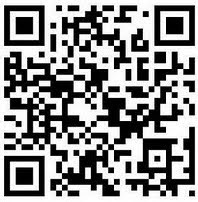 Your involvement had contributed the team success of this survey! 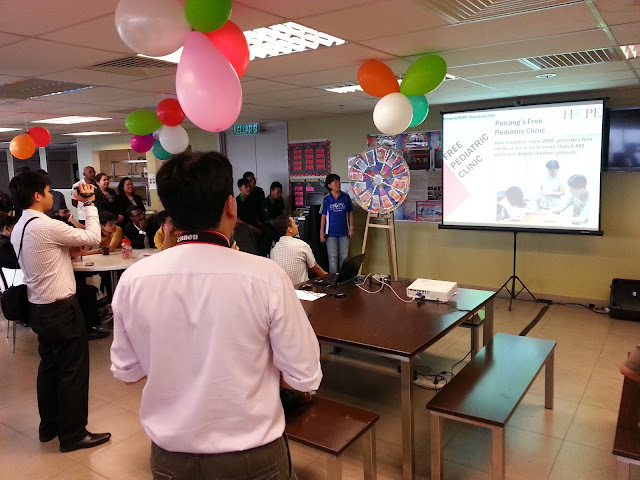 Protect and Save the Children (PSTC) SHIFT Program Graduation! 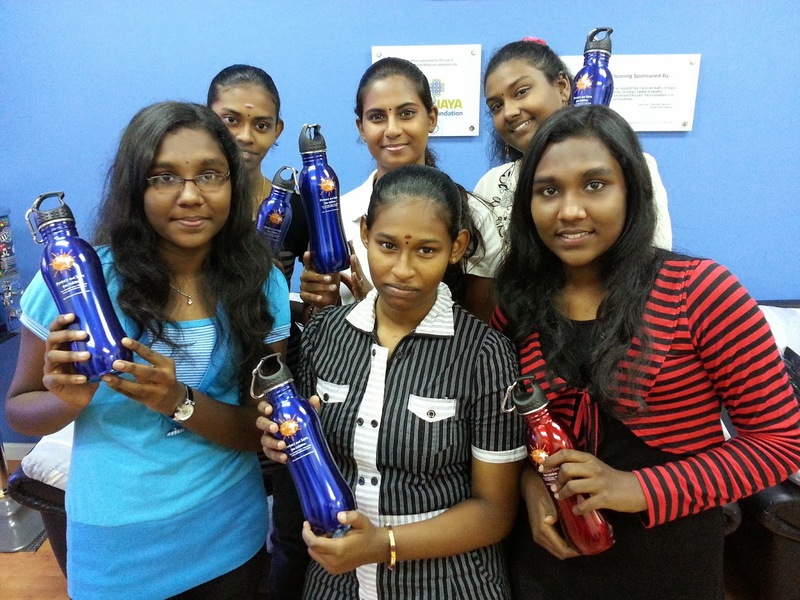 Thanks to Ms. Amrita from PSTC who had conducted four sessions of SHIFT Program with the teenage girls. It was such a fruitful workshop to learn from! The workshop talked about self-esteem, how we could build a healthy relationship with one another and as well self-protection. We would like to thank Ms. Thency from PSTC who first contacted us to in offering this workshop for our teenage girls. 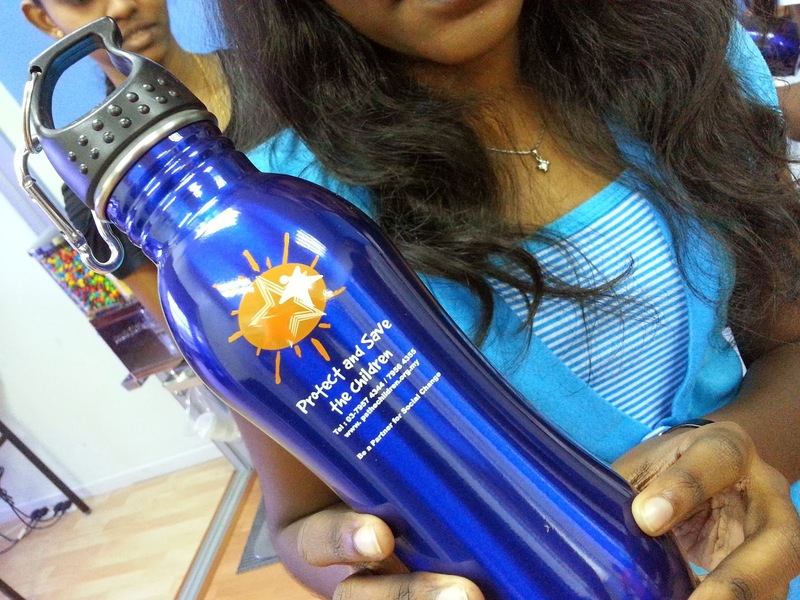 Keep up the good work in inspiring the young generations PSTC! 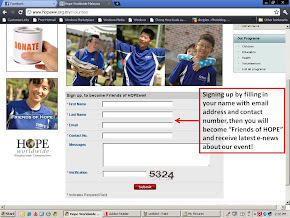 Don't forget to check out other event pictures by clicking into our Facebook page! 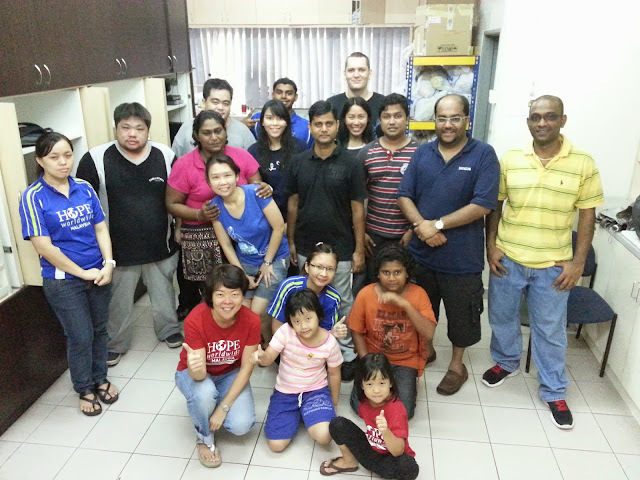 Last Saturday we had volunteers from Datacom who were here volunteer with us! Thanks for making your time here to contribute your time and energy for this meaningful cause. We'd like to thanks Ms. Loga who coordinates this volunteerism program. 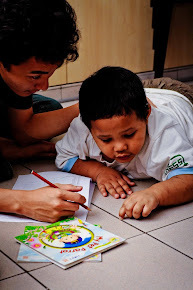 Since the last successful volunteerism program - Food Distribution Program, BHP Billiton volunteers came to participate our Education Programs - Reading & Creative Art Program. It was an awesome afternoon to have a total of 45 children been impacted in both programs. 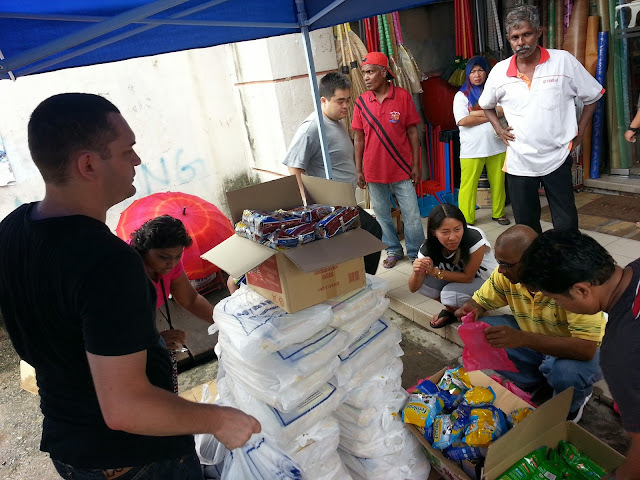 BHP Billiton volunteers also prepared bags with snacks as an encouragement for all 45 children. 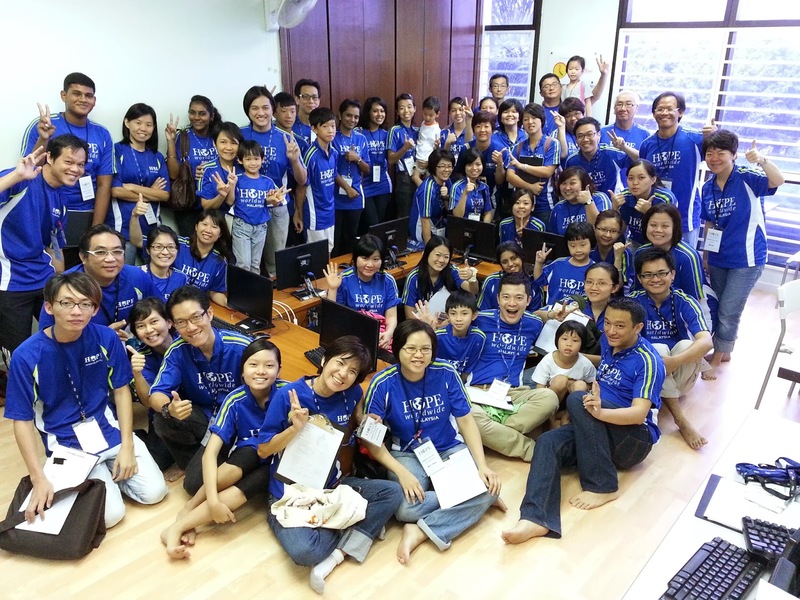 Thanks to all fellow volunteers from BHP Billiton and hope to see you guys again! 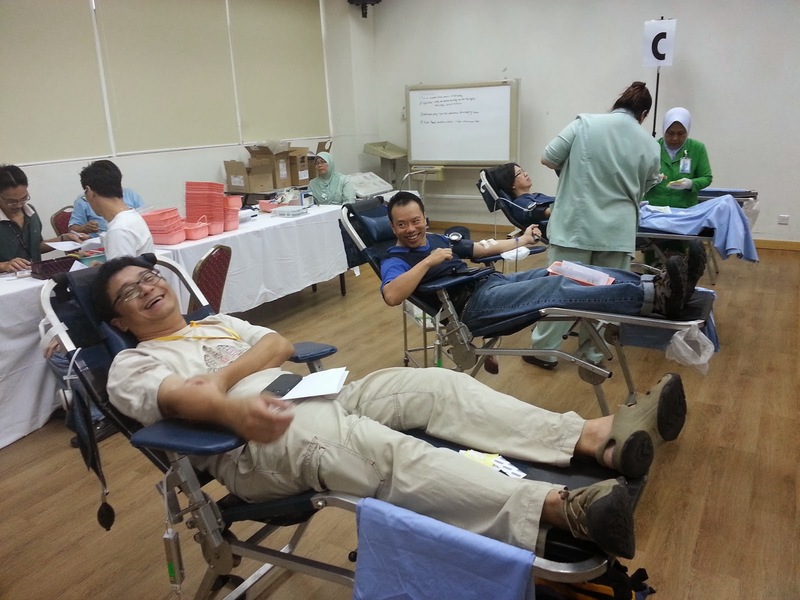 Thanks to all blood donors who were there and showing you utmost support for this event. A big thanks to Galaxy Group as the co-organizer and as well the venue sponsor for this meaningful occasion. 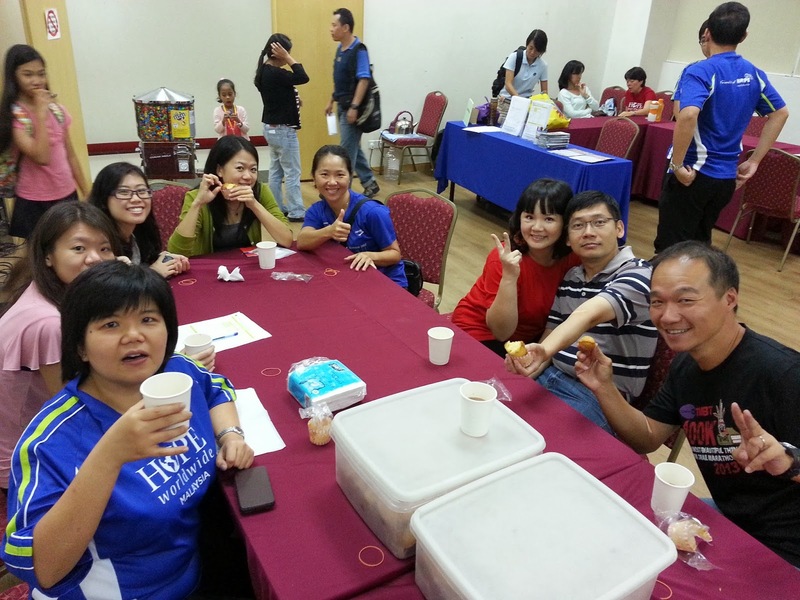 Special thanks to all fellow volunteers who helped out in this event too! 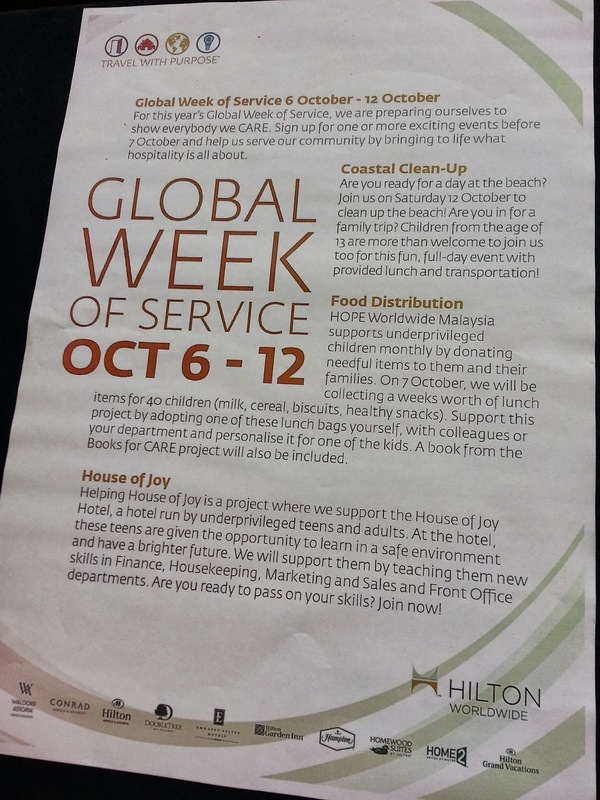 It was an honor to be selected as one of the NGOs for DoubleTree by Hilton Annual CSR project - Global Week of Service. During last Friday, a group of 40 children were at DoubleTree by Hilton Kuala Lumpur, had a great time learning through some team activities and games. Prior to this occasion, DoubleTree by Hilton KL actually set up a Book for CARE campaign which raising awareness from the public about Education for the underprivileged. 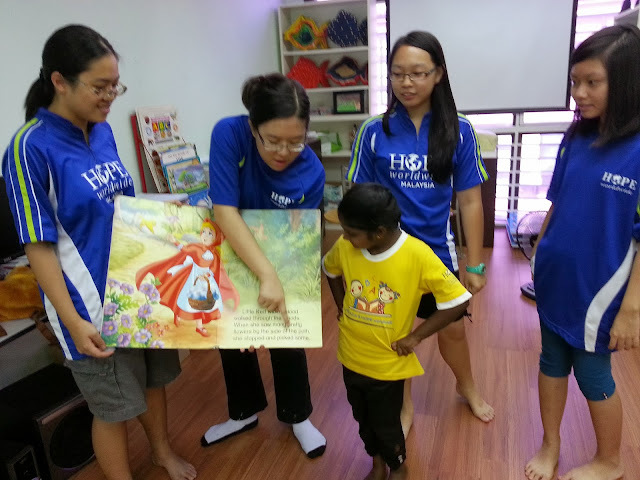 Public can donate English story books and as well cash to this cause. There is a book shelf at the lobby which the books donated by the public were displayed there. 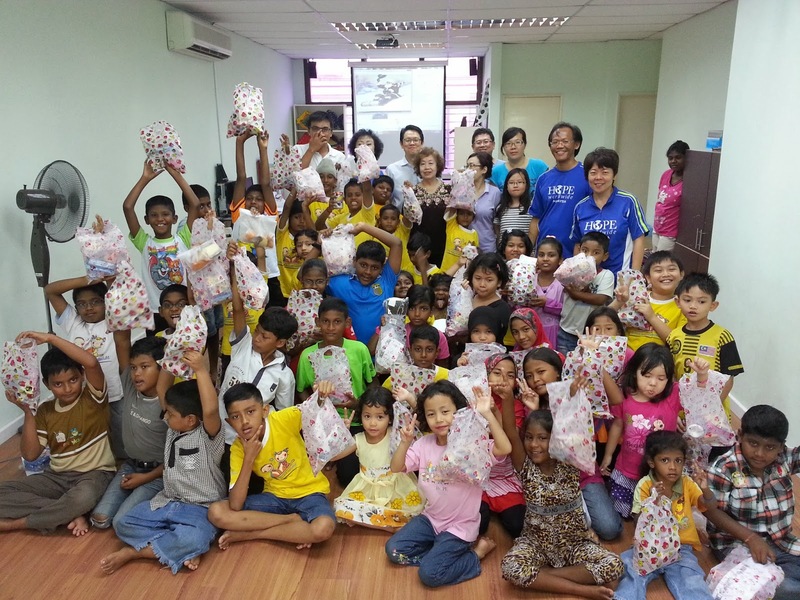 Hence, on this very day, the first batch of books donated by the public were presented to the 40 children. 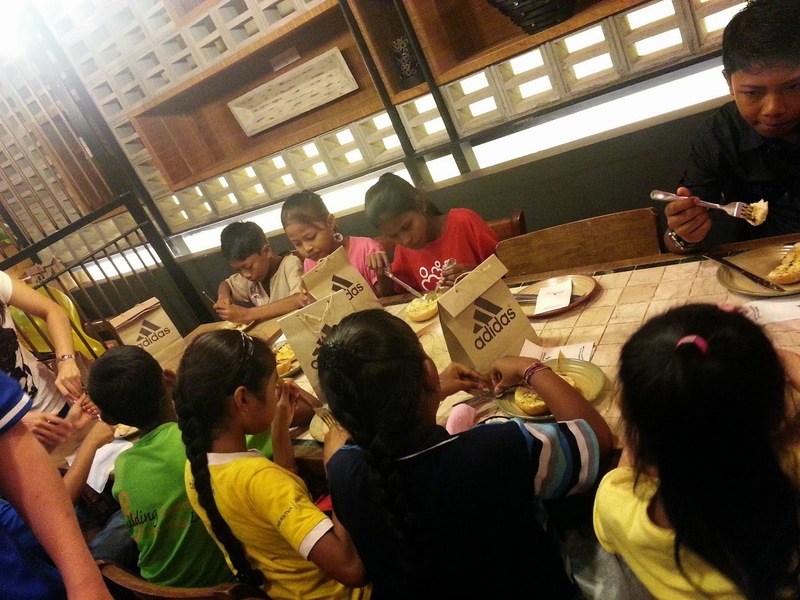 Besides presenting them the books, DoubleTree by Hilton KL's prepared goodies with healthy snacks and drinks for the children too. 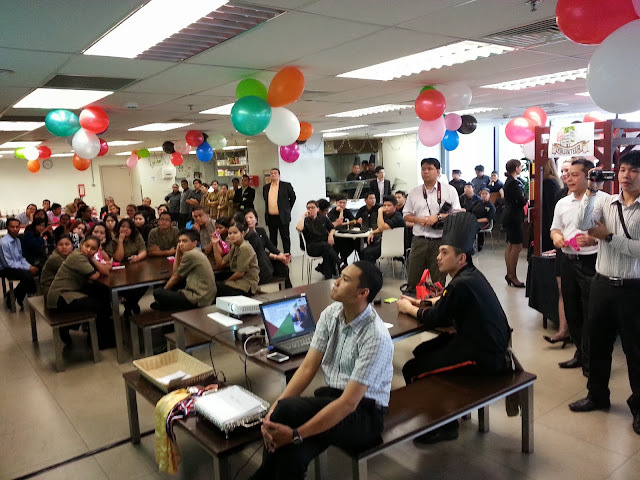 The goodies were a contribution from the DoubleTree by Hilton KL's staff. 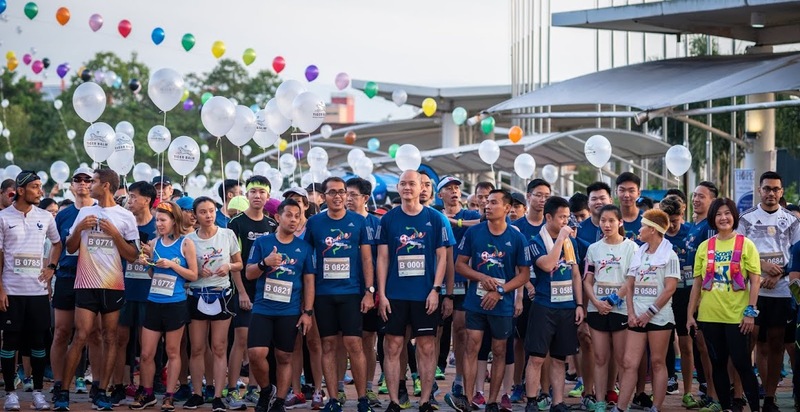 Thanks to DoubleTree by Hilton KL CARE Committee and every volunteers who were there on the Friday night, we had such a memorable evening! It was an inspiring workshop, which is a personal initiative by Carey Ng, the Miss Universe Malaysia 2013, was a community project to motivate the teenage girls aged from 15 to 18 years old. Carey named it "Girls Day Out". 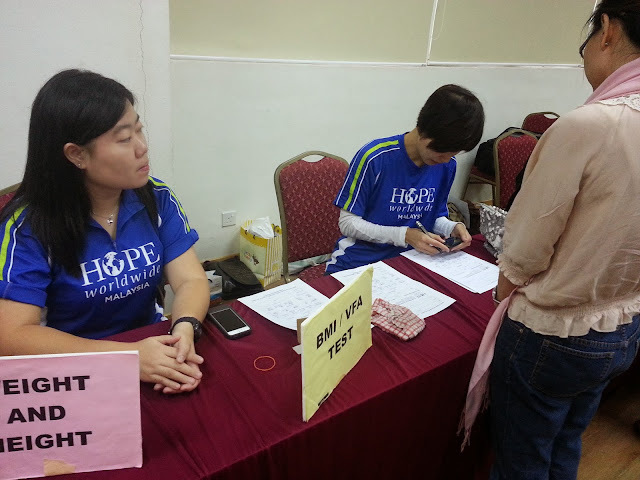 A total of 38 teenage girls from HOPE worldwide Kuala Lumpur & Rumah HOPE participated the event. It was a whole day workshop with lots of activities such as self-esteem development, discover personal strength conducted by motivational speaker Ms. Sandra, and also some testimony sharing by other invited speakers like Actress/Model/Celebrity Carmen Soo and Singer/Songwriter Juwita Suwito. Alongside with Carey were the 6 finalists of Miss Universe Malaysia 2014 to be the "Big Sisters" for the 38 teenage girls throughout the day. 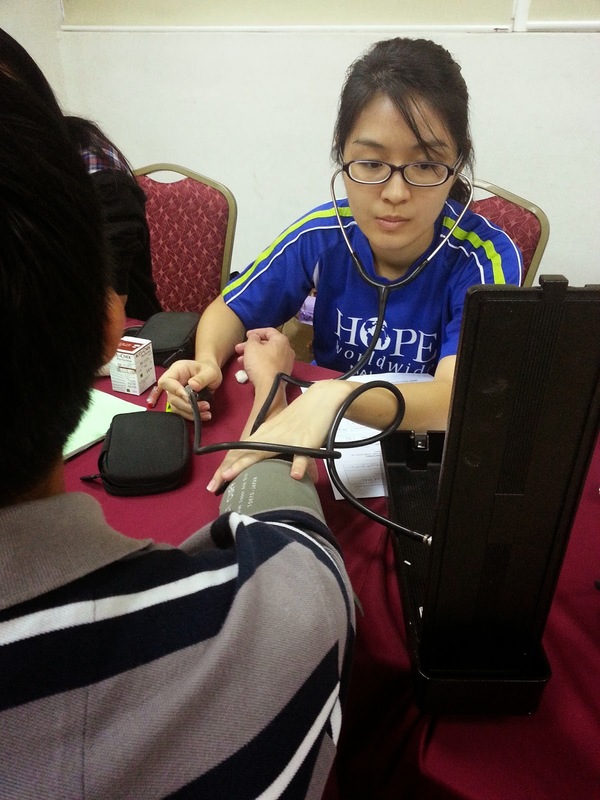 One of the participants from HOPE worldwide Kuala Lumpur was Patricia, who was a beneficial of HOPE worldwide few years ago. Her life changing story sharing session was one of the highlight of the day. Patricia shared about how she, as a female worked hard in the automotive industry, an industry which is dominated by majority men. And after years of gaining experiences, she will be fulfilling her dream, by opening her very own workshop in year 2014, together with her brother. Another important highlight of the day, was the appointment of Ms. Carey Ng as the Ambassador of HOPE worldwide Malaysia. 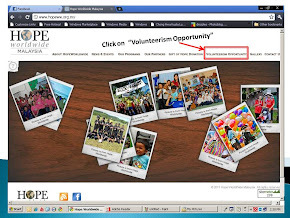 We first met Carey during the Groupon's Charity Campaign "Be the Difference" with Miss Universe Malaysia 2013 finalists. 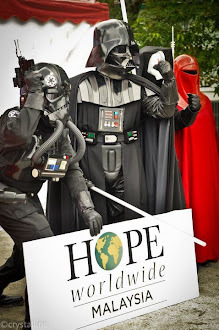 During that times, Carey was the Ambassador for HOPE worldwide Malaysia and we had raised a total of RM 5,390.00. 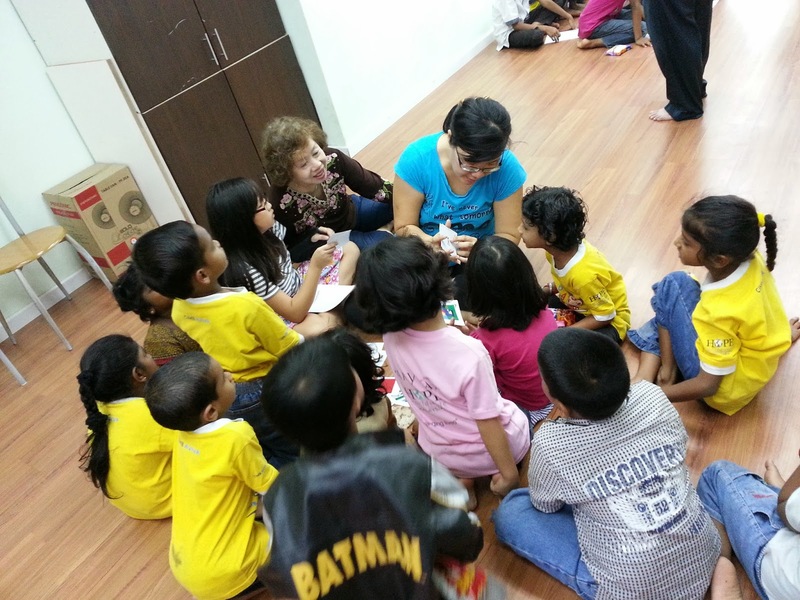 Soon after she was crowned as the Miss Universe Malaysia 2013, she has been actively involving in our community programs. Carey has been a very dear friend to HOPE worldwide Malaysia and we appreciate all of her effort and great heart for this noble cause. To make this workshop a special one, Carey spontaneously choreographed and performed a dance in front of everyone. It was a dance based on the song "Proud" by Heather Small. Halfway through her dance, she invited the 38 teenage girls to be on stage with her, and the performance closed up by her giving crowning each and every teenage girl, giving them an affirmation, that they are a beauty of themselves, carrying their dreams and strength with them. By the end of the workshop, the 38 teenage girls together with their "Big Sisters" wrote down the bad habits they would like to eliminate in their lives on the helium balloons, and they will have to release the balloons to the sky together. Some of them even written down their wishes and dreams. By releasing the balloons, it's a sign of promise to themselves, that they will make it happen in their lives. It was such a meaningful and touching moment! Once again, we would like to thank Carey, for all your effort, and hardwork putting in to make this workshop happened for these 38 girls. They had indeed impacted by you and the rest of the "Big Sisters" alongside with the invited guest speakers. Credits also go to Carey's parents who had done the decoration of this event together with Carey. We wish you all the best in your journey to Moscow to compete with 86 pageants from all over the world for the prestigious title - Miss Universe 2013/14! Carey, you had indeed made everyone of us, include the nation proud of you! 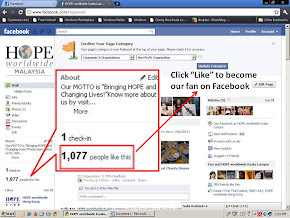 Ms. Carey Ng as Ambassador for HOPE worldwide Malaysia. Events pictures of Carey with HOPE worldwide from 2012 to 2013. We would like to specially thank to Mary Kay as being the goodies sponsor and also for Ms. Elaine Daly, the mentor of Carey, by giving advice to Carey to carry out this community project. Thanks to Alliance Française de Kuala Lumpur for providing the location and great atmosphere for the workshop. 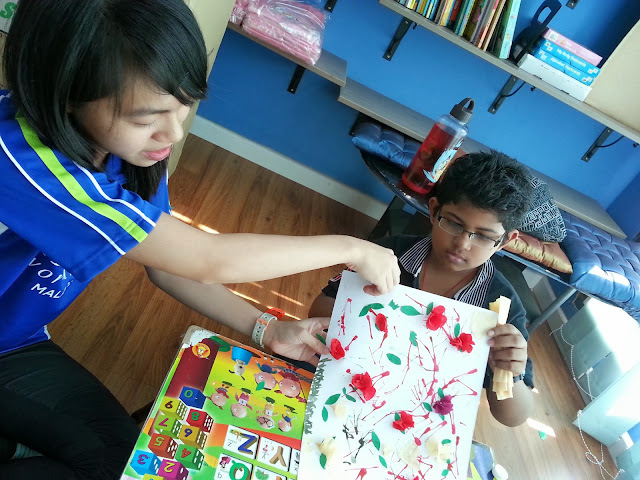 For more pictures, check them out on our Facebook page by clicking into: Carey Ng's Community Project "Girls Day Out"
It was April this year when the Youth volunteers last came to the HOPE worldwide Children Activity Centre. 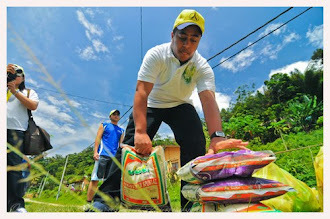 And we are again to have more than 30 volunteers which including the youths and their mentors to involve in several programs - Reading Program, Creative Art Program & Computer Program. The highlight of this volunteerism experience was, the Computer Program! After the first online research we had done with volunteers from Dow Chemical, we discovered that the students enjoyed themselves very much and they had gained a lot of knowledge, as well as confidence in presentation. So we would like to have the Youths to be the mentors for the students, and the topic we were doing this time was "Country and its Culture & History". The student can first decide the country they would like to do the online research on, and together with the youths, they put all the information and pictures inside the Power Point Presentation. Great job to all Youth Volunteers and all the best to you studies, especially for those who are sitting for examinations during this year-end. Hope to see you guys again! We received feedback from the staff that they felt so lifted up after the Community & Volunteerism Workshop, especially from the motivational video, and as well the life changing stories were very touching. It gives them motivation and encouragement in their jobs and works too! The objective of this Community & Volunteerism Workshop is to gain awareness among the corporate staff about the definition of doing Corporate Social Responsibility Project through volunteerism, reaching out to the urban poor. 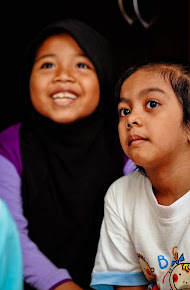 Since 2012, HOPE worldwide is very honored for able to work with DoubleTree by Hilton Kuala Lumpur for several community programs through sponsorship and volunteerism, and we always looking forward to bring this working relationship to a greater height. HOPE worldwide Malaysia is selected to be one of the NGOs to work with DoubleTree by Hilton Kuala Lumpur for its Global Week of Service. 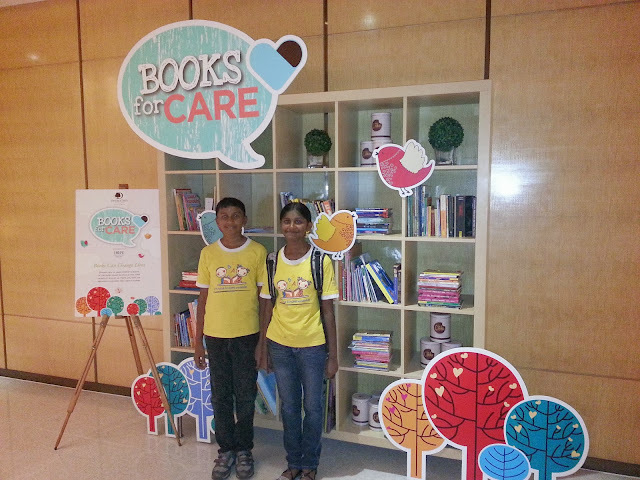 Book for CARE was one of the significant charity collaboration between HOPE worldwide and DoubleTree by Hilton Kuala Lumpur, in raising awareness about the importance of Education through Reading for the underprivileged children. 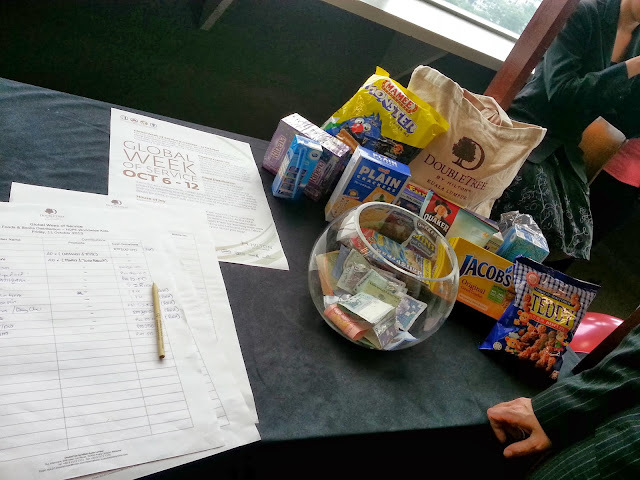 During the Global Week of Service, the volunteers from DoubleTree will distribute books and as well some nutritional snacks for the children. It's been a great working dynamic with DoubleTree by Hilton Kuala Lumpur, and we look forward for more upcoming events with them! We would like to specially thank to Mr. Ian Barrow, the General Manager of DoubleTree by Hilton KL, and as well the Director of Business Development, Ms. Linda Giebing, who is also the President of CARE Committee for making sure every project been carried out smoothly and successfully!